Students and practitioners of Chinese herbal medicine must learn hundreds of commonly used herbs as the first step in studying Chinese herbal medicine. Additionally, junior practitioners lack the clinical experience required to ensure that they can skilfully select the appropriate herbs to use in the formulas. This presents them with a major challenge. Chinese Herbal Medicines: Comparisons and Characteristics presents a method of learning individual herbs through vivid and clear discussion of their characteristics and through a comparison with other herbs of their characteristics and strengths. As Mazin Al-Khafaji mentions in his foreword to this text, when first embarking on the study of Chinese herbal medicine students often pale at the quantity of information that has to be committed to memory. Dr. Yang herself says that when she studied Chinese herbal medicine, she found it very helpful when her teachers compared and contrasted herbs with each other. She has therefore set out to write a book that will help students and practitioners - once they have learned the basic herb functions and applications - to understand the characteristics of herbs well enough to create effective formulas. To do this she uses a question and answer format, which presents topics in a very clear and accessible way. There are no erudite discussions of historical precedent, just concise and reassuring explanations that make the task of understanding herbs seem much more manageable. The first chapter provides a thorough introduction to the theory and concepts of Chinese herbal medicine: flavours, tastes, temperature and taste combinations, channels entered, taste and colour, actions, functions of different parts of plants, dosages, how to prepare a decoction, how to take herbs, how to give herbs to children, cautions and contraindications, substitutes for banned substances and the significance of herb names. Each of these is addressed in the form of question and answers, such as ‘What are the five tastes of herbs?’ or ‘What are their clinical applications?’. Each question is clearly laid out in the contents list, so it is easy to navigate your way to the information. A chapter follows on each of the standard categories, e.g. herbs that release the exterior, herbs that clear heat and so on. Indications, characteristics, methods and precautions are covered for each category, and then similar herbs are compared and contrasted, with a strong focus on their clinical applications. A similar format is used throughout, for example, ’What are the differences between Qing Hao (Artemisiae annuae herba), Yin Chai Hu (Stellariae radixi) and Chai Hu (Bupleuri radix) in regulating the Liver Qi?’, or ‘How many kinds of Ju Hua (Chrysanthemi indici flos) are used for medicinal purposes and how does one choose the correct one in practice?’. At the end of each chapter a section summarises the information in the form of bar charts that illustrate the differences between herbs in terms of strength and temperature. For example, in the chapter on herbs that subdue Liver yang and extinguish Liver wind the author gives four tables comparing substances that: i. anchor Liver yang; ii. extinguish Liver wind and subdue Liver yang; iii. disperse Liver heat and extinguish wind; and iv. open the collaterals and extinguish wind. Readers who assimilate information visually will find these illustrations very helpful. The book is well laid out, with each main heading clearly numbered and signposted in bold red, with subsections clearly indicated. In this second edition of the text, Dr. Yang has added extra appendices: Appendix one gives daily dosages of individual crude herbs above six to nine grams; Appendix two gives commonly used herbal combinations and their applications, as well as a list of combinations to treat complicated disorders; Appendix three explains the Chinese words that form part of the names of herbs listed by colour, parts of the plant (flower, fruit, seed, leaf etc. ), aroma and taste. The author also gives examples of herbs whose names describe how they have been prepared (jiu = alcohol, mi = honey, chao = dry fried etc.). 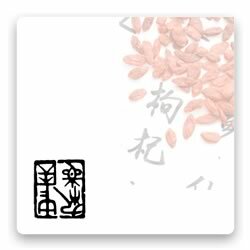 There is also a very poetic list of herbs whose names invoke their appearance, such as Yu Xing Cao (grass with fish smell) or Bai Tou Weng (old man with white hair). Appendix four lists pinyin names alphabetically with their Latin (pharmaceutical) equivalents. Banned and toxic substances are indicated throughout the text with asterisks. Navigating around this book is probably best done via the contents list rather than the index, simply because most of the individual herbs covered appear in different contexts through the book. Personally I very much like the way the author has broken her subject into clear and manageable chunks, and would thoroughly recommend this book to students and practitioners of Chinese herbal medicine.